PAULINES FLOWERS & GIFTS will make any occasion special. 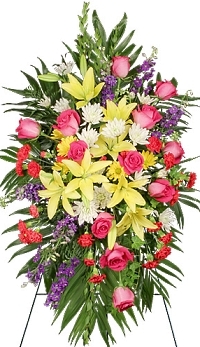 Proudly serving the Slaton, Texas area since 1967, we're a full-service local florist that is family-owned and operated. 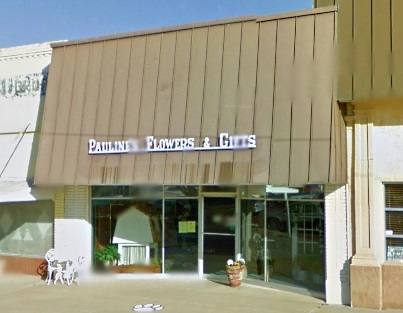 Located on the north side of the town square; Pauline's Flowers and Gifts is here to serve your small town needs. We hope you enjoy your online shopping experience with secure 24-hour ordering right at your fingertips. If preferred, you may call us to place orders direct at 806-828-6275 or 1-800-354-7063. * Order custom, one-of-a-kind Wedding Flowers and Party Flowers from Paulines Flowers & Gifts. We will ensure your special day is a blooming success! Call us in advance at 806-828-6275 or 1-800-354-7063 to set up an appointment for a consultation. * Pick up a great gift that's sure to please for any age or occasion at Paulines Flowers & Gifts! We have plush stuffed animals, balloons, fruit baskets, gourmet baskets, scented candles, silk arrangements, home décor items, baby gifts, candy & chocolates and more! Shop for a variety of unique gifts, including name brands, such as Drake, Willow Tree Angels and Faith Collection. Call or visit us today… we look forward to meeting you! 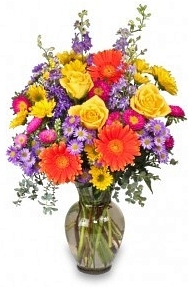 Thank you for visiting our website for flowers delivered fresh from a local Slaton, TX florist and easy online ordering available 24 hours a day.